When President* Trump first proposed new tariffs on imported solar panels, industry stakeholders predicted that solar installations in the US would grind to a halt. The worst has yet to materialize. The rate of solar growth slowed last year but it is picking up again, and the US solar industry could emerge stronger than ever. 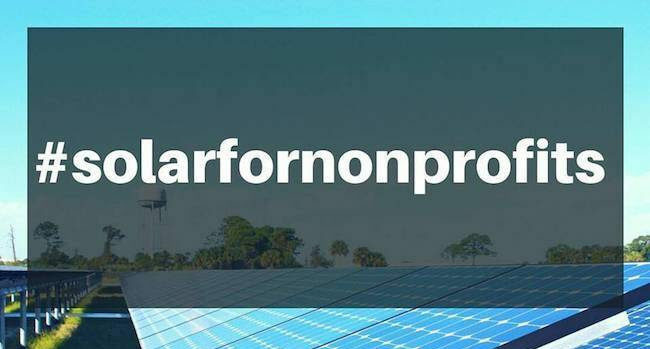 In one sign of things to come, new financing instruments are beginning to crack open the market for solar installations at nonprofits and other tax-exempt organizations. The untaxed sector has been relatively slow to adopt rooftop solar, partly because conventional tax benefits don’t apply to organizations that don’t pay taxes in the first place. One new workaround is a commercial financing model for rooftop and ground-mounted PV installations called Collective PACE™, launched this week by the green financing leader Greenworks Lending and nonprofit solar specialist Collective Sun. The new model leverages two instruments that were once fairly exotic, but are now familiar fixtures in the energy efficiency and renewable energy fields. One is C-PACE ( Commercial Property Assessed Clean Energy), which provides commercial property owners with access to low-cost financing for energy-related upgrades. The up-front costs are financed through a voluntary assessment on the property. If all goes according to plan, the assessment is offset by lower energy costs. No money down is also the operating principle for PPAs (Power Purchase Agreements). With typical PPAs, property owners have rooftop solar installed by a third party that owns the equipment. The cost is paid off through the property owner’s utility bill. Ideally, the property owner’s bill goes down and the end result is a “free” rooftop solar installation. C-PACE financing is not available in every state. As with rooftop solar policies, the situation can vary considerably depending on state-level legislation. That could change because US Department of Energy is very much in favor of C-PACE as a matter of national policy. That’s interesting because the President has been vociferous in his support for coal-sourced electricity, while C-PACE aims in exactly the opposite direction. The Energy Department singles out Texas, Connecticut, and California among the nation’s C-PACE leaders. Consider that the average US resident moves more that ten times in their lifespan, and you can see where the limitations of PPAs come in. If the rooftop solar financing is attached to a person’s utility bills, they would likely move before they realize any significant benefit. PACE closes that gap and incentivizes energy upgrades regardless of how long (or short) a person owns the property.